All pupils are focused on Dr. Matthew Deich this year as the best guy for Savannah eyes. The board-certified ophthalmologist has been practicing at the Georgia Eye Institute at Memorial Health since 1999, specializing in cataract and other surgical diseases. 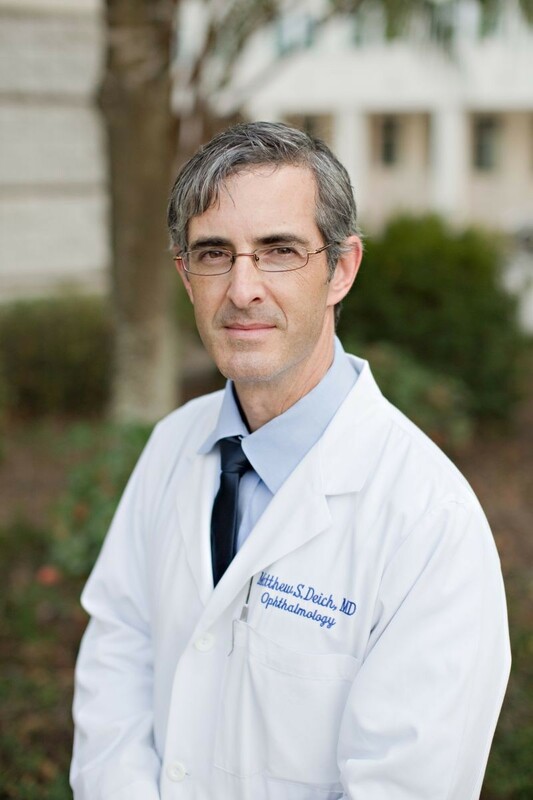 Examining eyeballs from iris to retina, Dr. Deich sees patients in midtown as well as satellite offices in Statesboro, Bluffton and Richmond Hill. The native Savannahian went north to Duke University for his undergraduate degree, returning to his home state for medical school at the Medical College of Georgia and finishing up his residency at Tulane. But he knew before he even graduated high school that he wanted to become an eye doctor, inspired by his father’s successful cataract surgery in 1980. That sparked his interest in the field, and when he was assigned a project to shadow a local professional, he chose his father’s surgeon, Dr. Sandy Rosenthal. That early education came full circle when the young doctor joined the same office as Dr. Rosenthal, who recently retired after 40 years of practice and mentorship. His protégé has continued with the same level of dedication to his patients, restoring clarity where there had been cloudiness and replacing blurriness with sharpness. He’s amazed at the leaps in technology developed in the course of his career that not only correct near- and far-sightedness but conditions like glaucoma and diabetic retinopathy. Lens implants are another advance in treatment since his father’s surgery that seem like science fiction. Does that mean Google glass-type internet embedded in our corneas is on the way? “They’re already working on it,” he assures. In the meantime, the physician encourages folks to keep their eyes healthy by eating a diet rich in anti-oxidants and donning sunnies starting at an early age to help protect from cataracts and macular degeneration. Supplements such as lutein, zinc and copper can also keep your oculars primed, and regular eye exams are essential starting in one’s 40s to catch glaucoma early. “The eyes are definitely the window to the soul,” he confirms. When he’s not staring into interesting irises, Dr. Deich spends time with his wife, Cheri, their three teens and the family’s trio of gargantuan Great Danes.